I haven’t talked about my Lemongrass Spa business recently, but that is not because I haven’t been busy with it! I’m still loving the products and the business. I wanted to stop by and let you know about an amazing opportunity that is only available THROUGH TODAY, Thursday, October 13, 2016! Do you know how many Fridays until Christmas? There are only 10, including tomorrow! Everywhere I look I see signs of retail stores hiring holiday help. I can understand the attraction–holidays can be expensive and it is always nice to have a little extra money during this season! I worked retail during one holiday season and fun was NOT an adjective I would use. 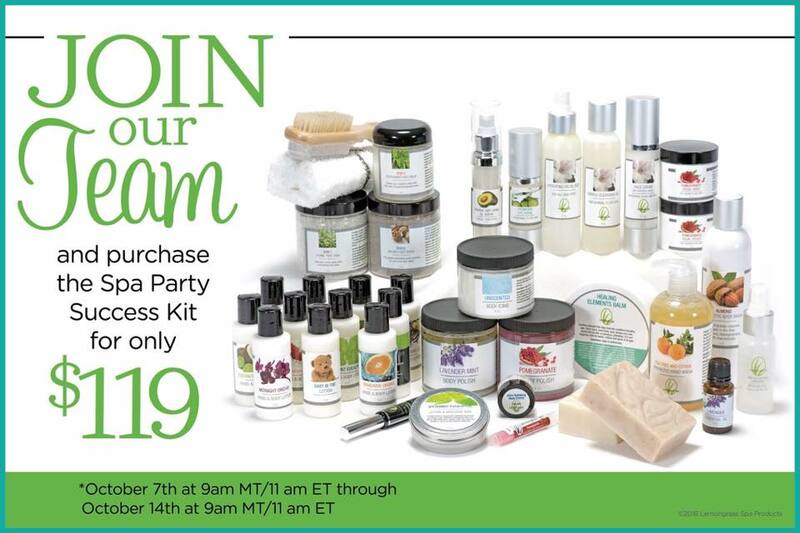 Now I do Lemongrass Spa parties–and those are always so much fun! I have grown so much since I took advantage of Lemongrass Spa’s business opportunity. I’ve been able to make decisions for my own business, get over my painful shyness, and talk to people! How would you like to improve your life? Most jobs do a poor job of this! Since I started Lemongrass Spa every little accomplishment I made got celebrated–often multiple times and always sincerely! I’ve earned free products, a beautiful locket necklace, and a bling t-shirt–all just for doing my job and meeting my goals! I have loved connecting with new people and making new friends, but it has also been special to connect with people I haven’t been in touch with for years. We all would like to make some more money right? Lemongrass Spa has made it possible to switch my household to completely natural/safe skincare, soap, shampoo, and makeup! Last year I was able to pay for all my Christmas gifts with my commission. It has also helped pay unexpected bills like my daughter’s dance class. What could you use extra money for? Lemongrass Spa has a ground floor opportunity for you–more and more people are becoming concerned about what’s in the products they are using. The latest map with the number of consultants in each state shows that none of them have more then 600 and the leadership (directors and above) has even more room for growth! Through today you can join for just $119–a $20 savings! 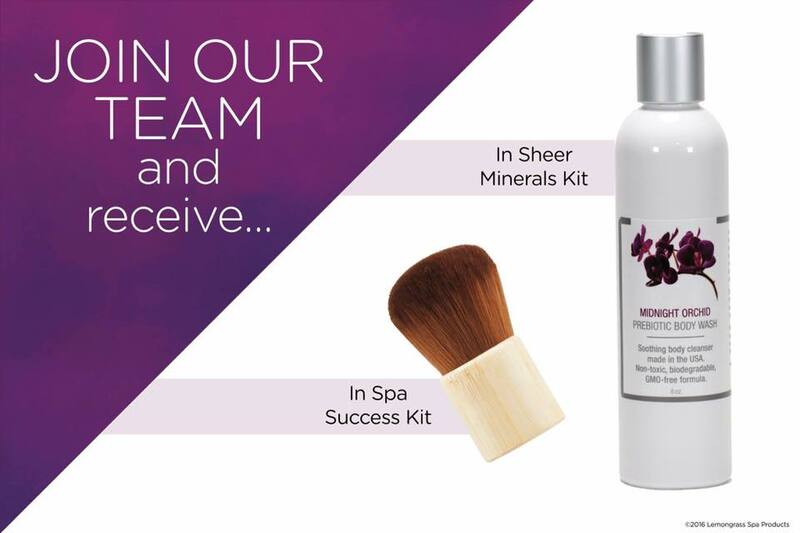 You will also get the bonus makeup brush October special with your kit! That is over $400 in products and business supplies! And even though it is your own business you aren’t in it alone–you join lots of other amazing women (and men!) who are more then happy to answer your questions through facebook, amazing training, celebration and encouragement all along your journey! So what about you–what is holding you back? I would love to chat with you and answer your questions!